Friday's summit between the leaders of North and South Korea was a "historic meeting" paving the way for the start of a new era, North Korea's media say. 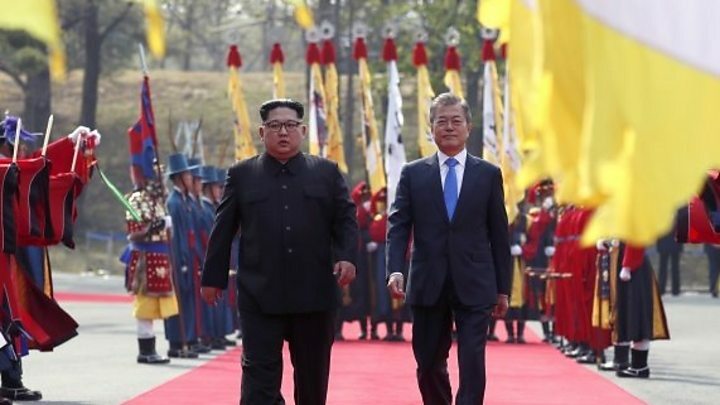 The North's Kim Jong-un and Moon Jae-in of South Korea agreed to work to rid the peninsula of nuclear weapons. 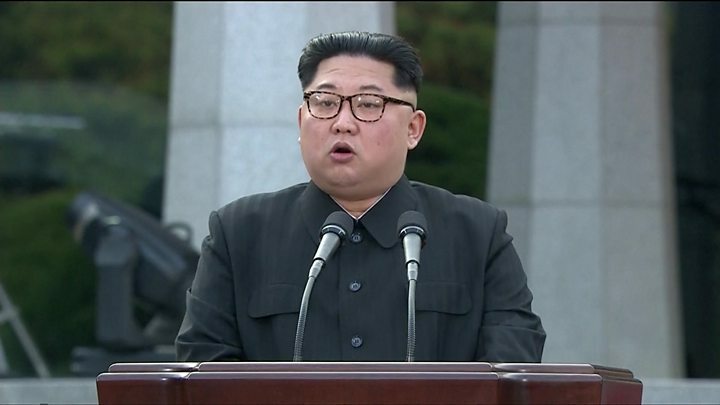 In a rare move, state-run TV and the official KCNA news agency hailed the talks and the leaders' commitment to seek "complete denuclearisation". For years, Pyongyang has insisted that it would never give up its nuclear arsenal, which it claims it needs to defend itself against aggression from the US. Seeing even a small mention of denuclearisation in a public newspaper will be perceived as a breakthrough by South Korean officials, says the BBC's Laura Bicker in Seoul. Will the summit lead to peace? Mr Kim's bold decision to stride confidently into nominally hostile territory reflects the young dictator's confidence and acute sense of political theatre and expertly executed timing. His clever, seemingly spontaneous gesture to President Moon to reciprocate his step into the South by having him join him for an instance in stepping back into the North was an inspired way of asserting the equality of the two countries and their leaders. It also, by blurring the boundary between the two countries, hinted at the goal of unification that both Seoul and Pyongyang have long sought to realise. 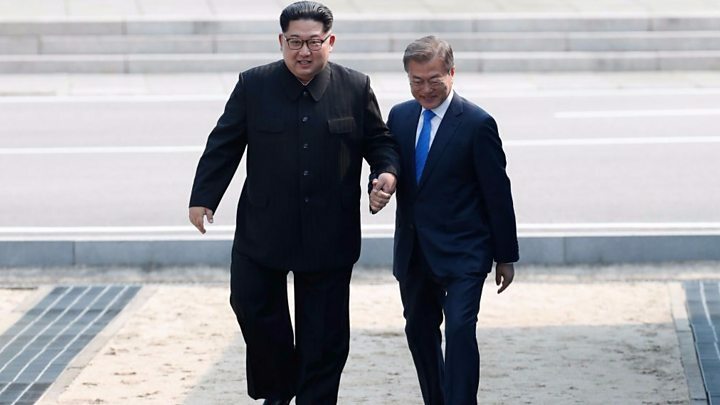 The rest of the day was full of visual firsts and a set of cleverly choreographed images of the two leaders chatting informally and intimately in the open air - deliberately advancing a powerful new narrative of the two Koreas as agents of their own destiny. China, North Korea's ally, and the United States both welcomed the outcome of the talks. On Saturday, President Donald Trump tweeted that "things are going well" and that preparations were being made for his own meeting with Mr Kim in the coming weeks. Earlier he pledged continue to exert maximum pressure on North Korea, saying: "We're not going to be played, OK?" US officials are still deciding where to hold the summit, but Mongolia and Singapore are understood to be two countries on the shortlist. Singapore's Prime Minister Lee Hsien Loong told reporters on Saturday that the city-state had so far received no formal request to host the event.